The Federation Celebrates Ang Lee's Oscar Win at Life of Pi Screening! 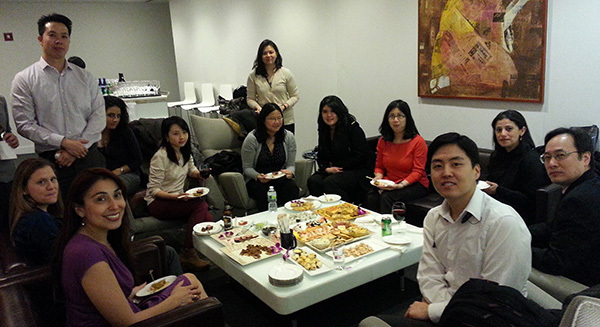 The Federation’s long-time partner and corporate supporter, News Corporation, hosted a cozy reception and private movie screening of the Academy Award nominated Life of Pi (in 3-D) on Tuesday, March 5, 2013 in their screening room of their corporate offices. Among the 25 invited guests were loyal volunteers and friends of the Federation from employee network groups of various firms and corporate partners including Wells Fargo, Empire BlueCross BlueShield, Asian American Bar Association of NY, Wedding Creatives, and NBCUniversal. The film was nominated for 11 Academy Awards and won 4 Oscars including best director! The Federation is deeply grateful to News Corporation for their hospitality and committed outreach to the Asian American community.